ABC3 has begun filming a new kid’s comedy series, The Worst Year Of My Life, Again in Melbourne. 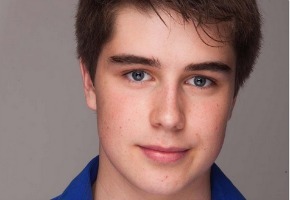 A co-production between the Australian Children’s Television Foundation (ACTF) and Reflective Pictures, the 13-part series will be shot over 14 weeks, and introduces Ned Napier (pictured), Laurence Boxhall and Tiarnie Coupland. The series has been created by Mark Brotherhood, and written by Mark Brotherhood, Brendan Luno, Peter Mattessi, Sam Caroll and Kirsty Fisher. Alex King (Ned Napier) has had a horrible year – humiliated by his teachers, targeted by bullies and embarrassed by attempts to impress the most popular girl in school. So when he wakes up on his birthday to discover that somehow time has reset itself, he can’t believe he must relive every miserable moment of the past 12 months once more. Until his friends Simon Birch (Laurence Boxhall) and Maddy Kent (Tiarnie Coupland) convince him he’s being offered a second chance and maybe this time round, he can get it right. Producers are Ross Allsop (Doctor Blake Mysteries, Beaconsfield, Rush), and Bernadette O’Mahony (Mortified, Dance Academy, You’re Skitting Me, My Place). Series Directors are Pino Amenta (Winners & Losers, Packed to the Rafters, Mortified), Darren Ashton (Rush, Offspring, Thunderstruck) and John Hartley (Mako, Rush). The series has been financed through Screen Australia, ABC TV, ACTF, Film Victoria and CBBC and will be distributed by the ACTF. The Worst Year Of My Life, Again will screen late 2013 or early 2014. Tags: The Worst Year of My Life – Again! Apologies! How could I have ever doubted you! ABC Kids has a responsibility to allocate scarce ABC funds to projects initiated and written by Australians. This project is clearly initiated by CBBC and is an exercise in subsidy shopping. I don’t think you’ve mentioned this, but Matchbox Pictures have also started filming on another ABC3 series, The Nowhere Boys.